(Bloomberg) -- A tycoon in Thailand who along with his family controls one of the nation’s top builders was jailed for 16 months for illegal hunting in a wildlife sanctuary. 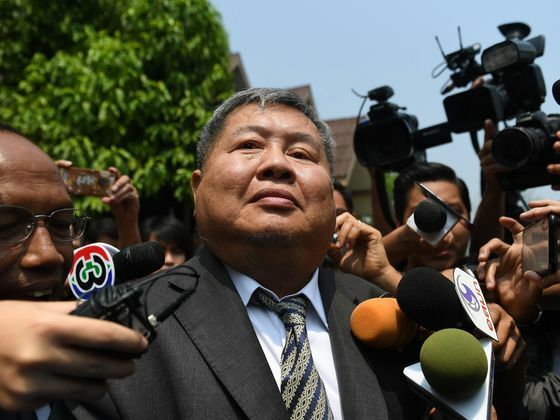 A provincial court found Italian-Thai Development Pcl’s Chairman Premchai Karnasuta guilty of poaching a pheasant, having weapons without permits and abetting illegal hunting by others. The ruling Tuesday also said three co-defendants were guilty of possessing the carcass of a black panther. Premchai was bailed and told he can’t go abroad without permission. The company declined to comment immediately after the judgment was handed down. The case was closely followed in a country where the justice system is often viewed as favoring the rich and the powerful. Premchai’s hunting party was found in a wildlife sanctuary in February last year and pictures of the discovery went viral. The Thai-language version of the hashtag "#blackpanther" was trending on Twitter in Thailand after the verdict. Premchai has a 13.5 percent stake in Italian-Thai Development, stock exchange data shows. The company’s shares rose 3.7 percent as of 11:25 a.m. in Bangkok. They slid 31 percent in the past year, compared with declines of about 10 percent in both the Thai stock market and SET Construction Services index.